Here's a full range of passiflora books for sale. Learn all about passion vines with these informative books. Since they were first described in Europe in the 16th century, passionflowers have held a special fascination among plant collectors for their bold, beautiful, complicated blossoms and delectable passionfruits. Most are perennial climbers, but some are trees, shrubs, herbaceous plants, or even annuals, and all lend a dramatic, tropical flavor to any situation. Since they have such a broad range of cultivation requirements, passionflowers can be grown by just about anyone, and cold-hardy species can be grown outdoors year-round. 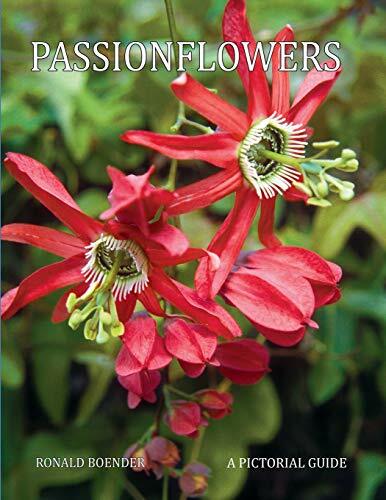 This authoritative, comprehensive volume describes 207 Passiflora species and 31 hybrids. A chapter is devoted to the remarkable coevolution of passionflowers with Heliconius butterflies, which many passionflower enthusiasts now raise alongside flowering vines in the greenhouse. As lushly illustrated as it is informative, Passiflora: Passionflowers of the World reveals the immense variation found among members of this extraordinary genus. Pictorial Guide is a new and comprehensive photographic atlas with nearly 1000 new color photographs illustrating most of the wild species of Passiflora known to science. Bursting with a wealth of images of exotic species taken in the wild as well as those that most gardeners are likely to encounter in the horticultural trade, this book showcases elegant blossoms of these fantastic tropical vines, shrubs, and trees and captures the imagination with spectacular colors, dramatic forms, and amazing variations.Comprehensive and scientifically accurate, this survey of the genus Passiflora is the first reference book on passionflowers published in more than 15 years and the only pictorial reference guide of its kind. The splendor of more than 280 wild passionflower species as they appear in nature, as well as 11 hybrids, represents the culmination of the author’s 30-year fascination with this exotic genus and his more than 120 trips to Costa Rica and Ecuador observing and collecting the vines.Simple to use, the species are arranged alphabetically. The geographic range is given for every species, based on the latest verified identifications from world databases. At least one flower is shown for each entry, and very importantly, unlike other guides, a photograph of a leaf or often a fruit is shown. The author’s special accumulated knowledge of which specific butterfly feeds on which kind of plant is shared through notes under the respective host plants. A colorful appendix to the coevolved Heliconius butterflies rounds out the volume.The author Ronald Boender is an expert on passionflower butterflies and a pioneer in breeding and exhibiting butterflies. In 1988 he developed and opened the first commercial butterfly farm and public exhibition in the Americas, called Butterfly World, in Coconut Creek, near Fort Lauderdale, Florida. Quickly becoming a renowned expert on growing passionflowers, he developed the largest collection of species and has contributed much knowledge, not only to horticulture, but also the scientific understanding of the relationship between the vines and the butterflies. In 1990 he founded the Passiflora Society International (PSI), and until recent years was president and prime mover. 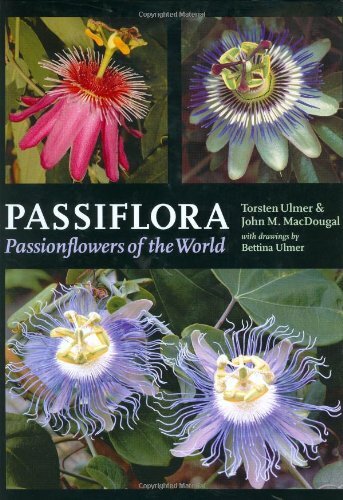 Through his lifelong interest in nature photography, he started a collection of passionflower photos which has grown now into this pictorial atlas.Completed by renowned Passiflora authority, Ronald Boender, together with John MacDougal, Ph.D., and John Vanderplank, Ph.D. comprehensively highlights the breadth and beauty of the species occurring in the wild. Lavish contributions by 27 other photographers expand the photographic atlas to other climates, including cool-loving Andean species.Readers will delight in exploring page after page of amazing and intricate flowers and leaves of every color and form. This beautiful informational guide will be instructive and engaging to all readers –– gardeners, hobbyists, and scientists alike. This is a wonderful gift for any nature lover or gardener or anyone interested in tropical plants or nature photography. Did you ever want to make a necklace with all the flowers, like the ones you see in the magazines, but didn't know how? Here is your chance to learn. 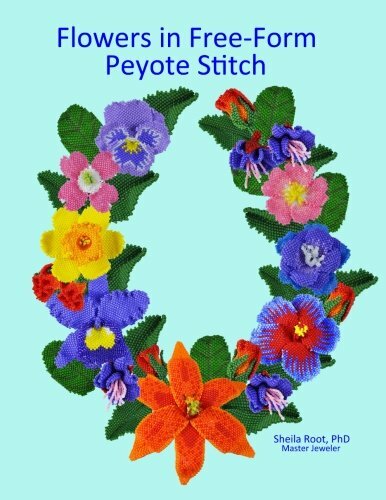 This book takes you step by step through the process of making beautiful flowers in peyote stitch using just a needle and thread, no wire involved. All steps are fully illustrated with diagrams and full color photos. A refresher is given on traditional peyote stitch, however the designs can also be worked in two-needle peyote stitch or brick stitch if you prefer. Patterns include a Fuchsia, Rose Bud, Delphinium, Daffodil, Pansy, Wild Rose, Dogwood, Cattleya Orchid, Oriental Lily, and Hibiscus, plus two leaf patterns. The backs of the flowers are relatively flat so that they can be used in many applications including wearable art and decor.All the flowers in the book are original patterns not previously published elsewhere. They are not generated by computer software. The patterns are approximately life size and are designed for size 11/0 rocailles (round seed beads) with a few 15/0 rocailles added to get the correct curves and shaping. They could also be made in larger or smaller sizes by using 8/0 or 15/0 rocailles. The designs strive for as much realism as possible given the limitations of working with size 11/0 rocailles! Patterns use from three to seven colors.This book is not intended for the beginner who has never done any peyote stitch, however a chapter is included with instructions on doing all the techniques in the book as well as advise on selecting beads and thread, keeping tight tension, and other useful information.